Hardware and software manufacturers for embedded vision components must work together to promote the effective use of this pioneering technology. The potential applications of embedded vision in combination with machine learning are enormous. Many future applications - whether in B2C or B2B – will be based on Embedded Vision: small, integrated image processing systems that work intelligently directly from devices enabling them to see and understand. Embedded vision is made possible by compact, high-performance computing platforms that consume very little energy. Thanks to standardized interfaces between computing platforms and image sensors, an increasing amount of image data in real time can be processed. With artificial intelligence, image processing systems are becoming even more intelligent: they are learning by themselves. 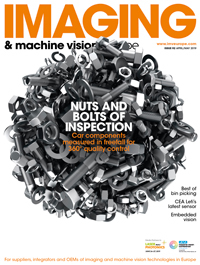 “The potential of Embedded Vision is enormous. The growing number of exhibitors and demos with an embedded vision reference, that could be seen at many of the trade fair booths, shows this", summarized Prof. Dr.-Ing. Axel Sikora, chairman of the embedded world advisory board and chairman of the embedded world Conference. "We are delighted that VDMA Machine Vision and the embedded world have organised again a panel discussion and a dedicated track on embedded vision at the embedded world Conference. Together, we are driving this topic forward". According to the panelists, embedded vision technology will not completely replace traditional, PC- or smart camera-based machine vision systems in the foreseeable future. However, from a technical and economical point of view, it does offer extremely interesting solutions in a multitude of application fields. "The speed of development of the required components, from sensor boards to various embedded platforms to machine vision software for evaluation, is extremely high. As a result, embedded vision technology has now reached a level of performance that already allows the use of effective systems in many applications today," said Dr. Klaus-Henning Noffz, Chairman of the Board of VDMA Machine Vision, at the panel discussion. An important and necessary step to make it easier for users to implement this innovative technology is that the manufacturers of the embedded vision components work together with regard to standardization and platform building: "If users have to assemble sensors, processors, software, and other components tediously and individually when developing solutions, the success of Embedded Vision will not reach the extent that it potentially can." However, various camera, embedded board and software manufacturers have already recognized this and are cooperating for the benefit of users. Further development of the technology is supported by continuous improvements in areas related to processors as well as innovative algorithms and methods such as deep learning and artificial intelligence. On the hardware side, smaller and smaller computers with multi-core processors and lower and lower power consumption guarantee sufficient computing power. Deep learning is becoming increasingly important in the use of embedded vision systems, for example to classify defects. According to Dr. Olaf Munkelt, Managing Director of MVTec Software GmbH, even complex image processing tasks can be solved efficiently in connection with suitable methods for image preprocessing and postprocessing. Participants of the panel discussion all agree: Embedded Vision will establish itself in numerous industries increasingly as a successful and cost-effective technology.